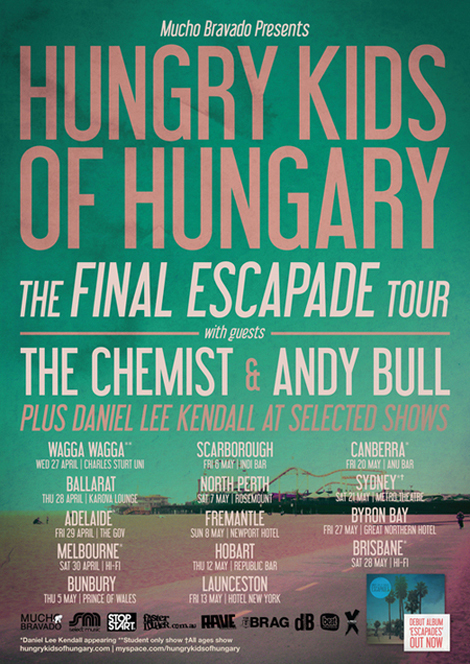 Hungry Kids Of Hungary are back in Australia after their trip to North America for SXSW and Canadian Music Week. The group are getting ready to kick off their Final Escapade Tour in two weeks with a stop at Splendour In The Grass, with ‘new arrangements, new songs, a new cover and some top secret collaborations on stage’. They’d also like you to download (free) an outtake from their last album called “Keep Talking”, which didn’t make their album but sounds album worthy to me. Two nights down for Canadian Music week, and two more to go for me. 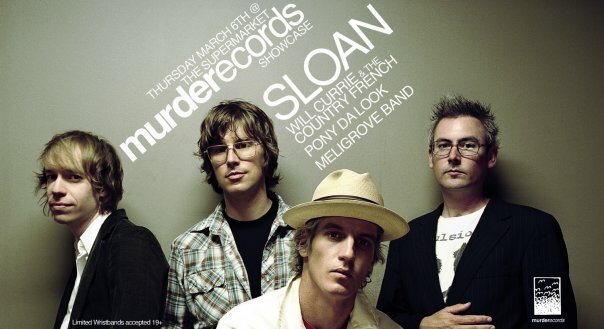 Tonight will probably be a night at Lee’s with hopefully a final destination of Supermarket for Phantogram. But, I’ll have to see where the night takes me. So far, I’ve managed to catch sets from Sweden’s Hellsongs (which I posted about here), The Wilderness Of Manitoba, Pick A Piper, Family Of The Year, Forest City Lovers, Hooded Fang, The Rest, Little Dragon and Rich Aucoin. So far, Rich’s ability to engage the audience with catchy songs and sing-a-long lyrics has made his show my favorite of the week. He even managed to mix this into his set (which made me think of this). More details on all this once this weekend is over. Getting ready for a big week here. A long list of calls, some preparation for Canadian Music Week and plans for making my girlfriend’s 30th birthday the best one yet. Hopefully I’ll be able to post regularly this week. I’ve got songs playing right now from Ireland’s The Ambience Affair and I’m again grateful for the things one can find in your inbox. This is the bands second EP (Patterns on Indicator Records), this musical direction focusing on ‘circular inventions of the acoustic/electronica kind’. Instead of writing songs with choruses,The Ambience Affair build songs incrementally, layer upon layer, to build their rich sonicmosaics. A great example of that isLost at the Start, or in the amazing themed variation of Little Red Riding Hood in ‘Devil In The Detail’. The Ambience Affair – Devil in the Detail from Souljacker on Vimeo.